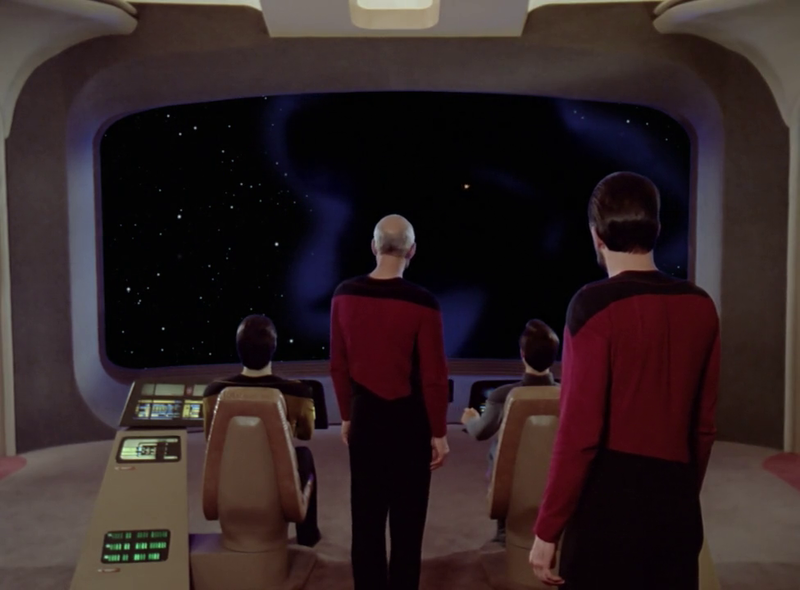 The USS Enterprise NCC 1701-D sensors clearly show a void in space has appeared right before the bridge crews very eyes. 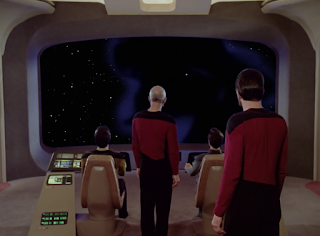 Further analysis reveals the "void" in empty of all matter which intrigues Captain Picard, who takes a keen personal interest in the matter. "Well, We're acquainted with the wormhole phenomena but this...."
WHY DID THE SECOND PROBE DISAPPEAR? 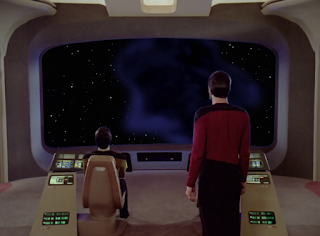 So now Data replies "Perhaps. Perhaps not, sir." 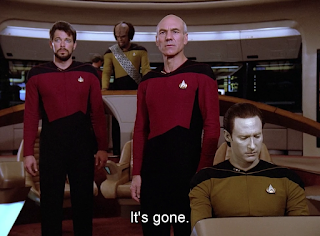 A bewildered Picard standing nearby is justifably annoyed. "Thats hardly a scientific observation, Commander." Quod Erat Demon stradum? right? I'm afraid not trekkers. Our artifical friend Data, is determined to continue. "Captain, the most elementary and valuable statement in science, the beginning of wisdom, is "I do not know." "I do not know what that is, sir." IT MOVED! THE ENTERPRISE-D IS ENVELOPED! 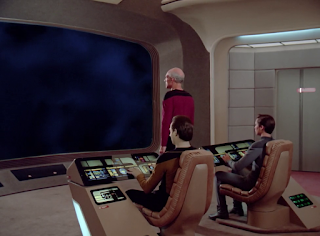 I'm must confess my laptop actually fell silent when FINALLY, Nagilum (THE CREATURE WITHIN THE CLOUD RUNNING THE EXPERIMENT) enveloped the USS Enterprise NCC 1701-D in whole!!!!! for a while I thought I was in trouble too, lol. Live Long and Prosper trekkers and trekkies. How would you have reasoned with the lifeform? I don't think it was possible to reason with it. Did it have large Gollum eyes? Logic was the only way, although he didn't respond well to that either. At least they didn't have to blow up the ship. I felt sorry for paschal who seemed to be the only one, interested enough, in trying to make a clean break for the stars. Oh the price of freedom! I can't remember if I've seen this episode, so I have no idea how I would've interacted with it. Possibly turned around, though. After dealing with Q on my first mission, I think I'd have a hard time trusting or reasoning with anything else I came into contact with. That creature always creeped me out. Even the look of it was odd. I will have to re-watch that episode as I don't even remember how they resolved it.